This grilled cheese sandwich tastes like cheesecake! Dessert for lunch? Yes, please! You are going to love my Caramel Apple Grilled Cheese Sandwich. It’s made with sweet and creamy mascarpone cheese, apple pie filling and caramel sundae sauce. I used Dempster’s Honey Wheat Bread and real butter to create one of the most amazing flavour combinations. I seriously cannot get enough of this sandwich. Of course, you won’t want to eat it every day but I think moderation is the key. If you want to indulge a little and eat something truly spectacular, this is a grilled cheese sandwich you’ll want to try. It sounds weird, but it works so well. It’s a little messy to eat so you’ll want to grab a spoon or fork to scoop all those deliciously sweet bits that fall on your plate. You might also like my Caramel Apple Dump Cake or Jalapeno Popper Grilled Cheese. I’m a big fan of dessert grilled cheese and always trying to think of new combinations to try. Do you have any suggestions on what I should make next? 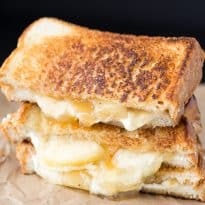 One of the most delicious dessert grilled cheese sandwiches you’ll ever have! I used Dempster’s Honey Wheat Bread. Now this is a grilled cheese that I must try. Usually I stick to the basic cheddar cheese grilled cheese but this one looks so good! Oh my goodness! This looks crazy good!! This sounds and looks so good I want one right now. I’m definitely added the ingredients to my grocery list because I cannot wait to try it. Thanks for sharing. I’m not so sure about this. But, I was also against cheezy and caramel popcorn (Chicago style) until I tried it. That’s an interesting combo – gotta try it! Looks delicious, that’s a real different combo! That looks delicious! I will just have to try it! interesting combo,sounds like a lovely treat for breakfast ! My mom would love this grilled cheese sandwich! 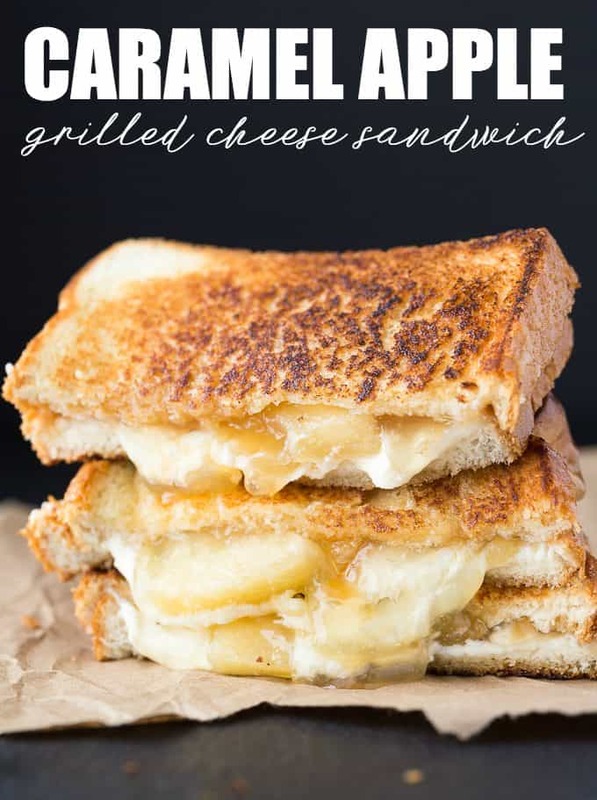 I never would have thought to put apple filling in a grilled cheese but I’m sure it tastes yummy! This a great combination that I think I would like. Found you over at Wined Down Wednesday. Looks yummy! This sandwich looks very delicious! We made this on the weekend and it was sinfully delicious |!